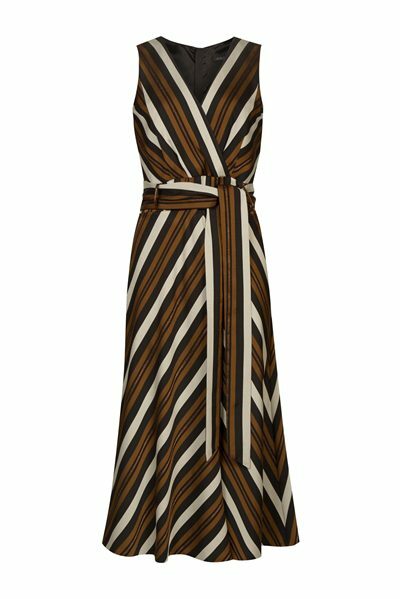 Dress inspired by Africa with a feminine silhouette. The sleeveless dress comes in wrap-around style with a self tie belt to accentuate the waistline. 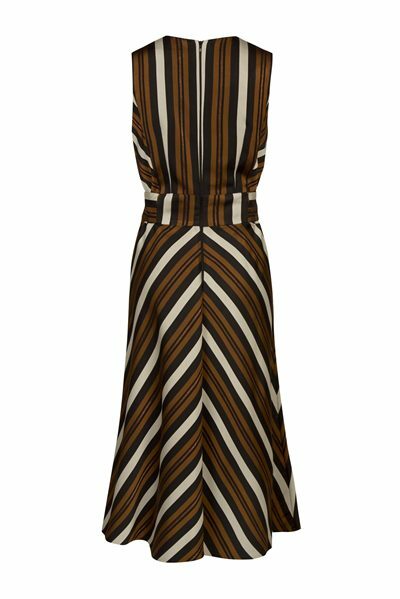 The sophisticated interplay between diagonal stripes and shimmering lurex stripes draws attention to the dress. Fastens with a hidden zip at the back.